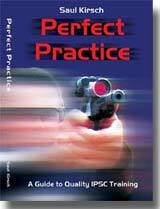 Perfect Practice is Saul Kirsch’s first book and the ideal guide to quality IPSC training. Each topic contains detailed insights into the attitudes and techniques critical to success. Each drill is explained in depth – how to shoot, what you learn and how to keep track of your progress and learning curve. 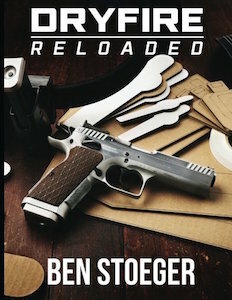 To improve your pistol shooting, Saul Kirsch’s first book is the ideal guide to quality USPSA and IPSC training. 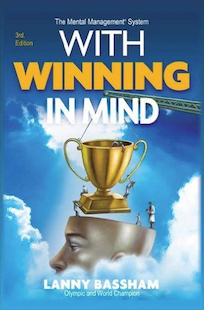 Each topic contains detailed insights into the attitudes and techniques that are critical to success. Each drill is explained in depth – how to shoot, what you learn and how to keep track of your progress and learning curve. Created from Saul’s own personal practice know-how, over 50 carefully crafted practice drills ensure you acquire all the knowledge, tips and skills necessary to excel. Perfect Practice is Saul Kirsch’s first book and is the ideal guide to quality USPSA and IPSC training and competition. I recently purchased a copy of Saul Kirsch’s “Perfect Practice” and found myself absolutely surprised at how well it was thought out and put together. There are fantastic drills with advice for every level of competition shooter. Most of the drills take almost no props to practice with and are able to be used on nearly any pistol range. This book brings a new level of professionalism to the products in the competition market. 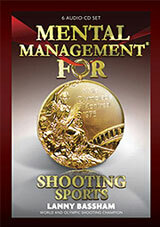 I will be using the book every time I am at the range and will be recommending it to my students as a must buy! Congratulations Saul on an incredible product and I can’t wait to see your next book! I did finally get the book and I read it the first day. I love it. I think you did a great job making it simple and to the point. I can’t wait to get on the range again and start running some of your drills. It is always fun to do something new and now I can. Only problem is I have to take about 4 months off because of my Army schedule. Oh well. I have something to look forward to though. I could scarcely be more impressed with your training guide – Perfect Practice. I’ve been using the copy I obtained from you in Oparany myself, and have been following a couple of friends to whom I also recommended it. Initial impressions after about 8 good practice sessions are very positive, and I’ve already realized significant improvement in certain skills (such as shooting on the move) that I had previously come to accept were beyond me. I am developing a new competitive problem now: allowing myself to trust my newly enhanced capabilities. I unthinkingly hit a couple of crucial US poppers on the run at A1 last week, stopped in bemused disbelief to look, and negated the time and extra reload I saved thereby. Pretty funny; that’s a nice problem to have. Thank you.